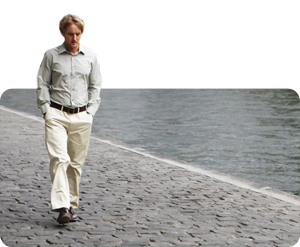 Midnight in Paris is worth a watch. I finally went to see Midnight in Paris the other day and I’m pleased to confirm that it is indeed worth a watch (if not an Oscar). Utterly solipsistic but undeniably intoxicating, the whole experience is basically akin to taking a long bath in Woody Allen. And I’m not speaking figuratively: it’s literally comparable to hollowing out a septuagenarian comedian, filling him with warm water and climbing in. Bubble bath optional.